(From Sony lens literature) From flattering portraits to faraway wildlife and fast-action sports, nearly every subject can be captured beautifully with the new SAL55300 telephoto zoom lens, the latest addition to Sony’s A-mount lens lineup. 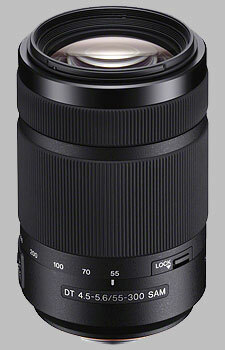 The new SAL55300 lens features a whisper-quiet Smooth Autofocus Motor (SAM) and an advanced optical design to get the best from the high-speed performance and high resolution sensors common to Sony’s A-mount camera lineup. Additionally, it contains an ED (Extra-Low Dispersion) glass element, commonly featured on premium Sony G Lens models, that reduces color aberrations, improves image quality and provides excellent contrast and corner-to-corner sharpness. Just used it at a football game during an afternoon in good light. Sharp results, mates well to my A65. No focus issues with action. A keeper!